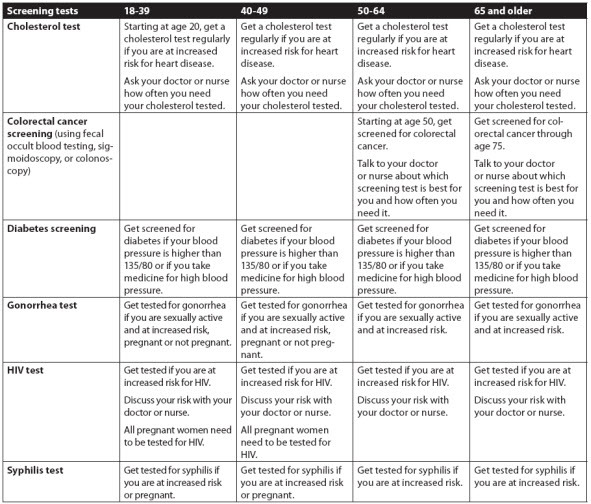 Check the guidelines listed here to find out about important screening tests for women. Keep in mind that these are guidelines only. Dr. King will personalize the timing of the screening tests you need based on many factors unique to you. If you don’t understand why a certain test is recommended for you, Dr. King will be happy to answer any questions you may have. 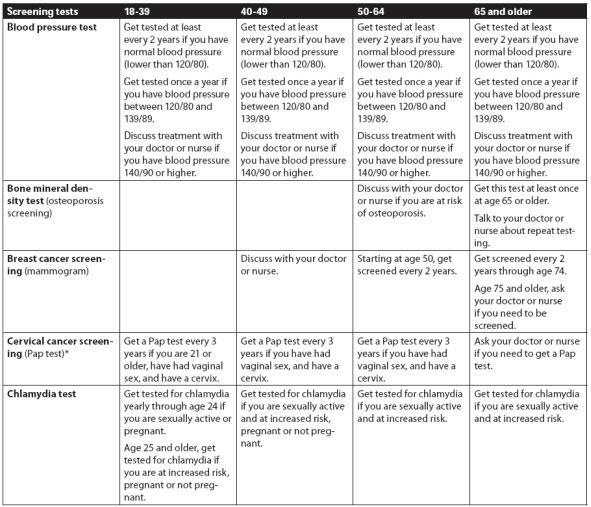 Don’t forget to check with your insurance plan to find out which tests are covered.